Halloween Wars – Halloween Food Done Right! Halloween Wars, the biggest and best spooky cooking competition on TV, is back with a brand new season for 2018! Tune in to Food Network Sundays for all new episodes with brand new competitors. Each Halloween Wars team is comprised of a pumpkin expert, cake specialist, and a sugar master, creating the perfect storm for unbelievable Halloween treats. Watch as 5 of these super squads pit their culinary skills against each other to take home the $50,000 grand prize! Each Halloween Wars creation will be judged by a carefully selected panel. 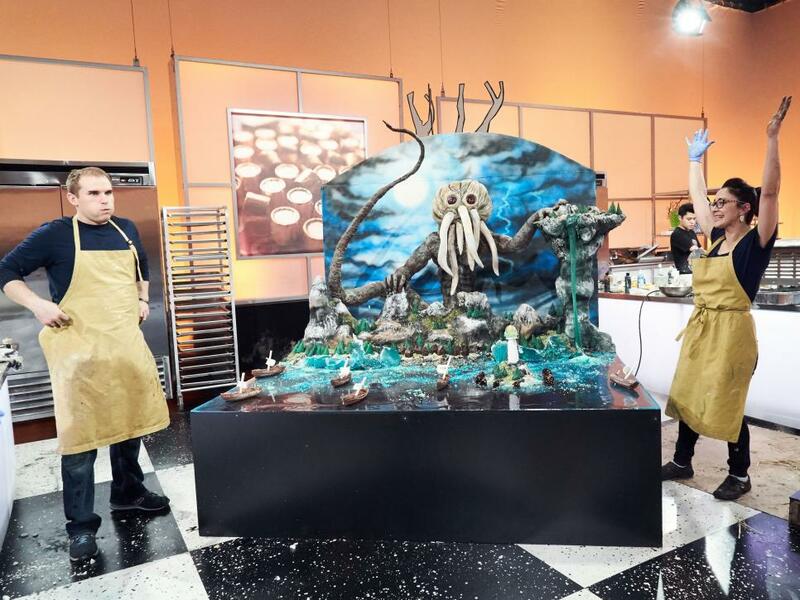 Our judges for 2018 are renown cake decorator Shinmin Li, and horror film special effects master Todd Tucker. Their expert opinions will decide which team’s submission ultimately deserves to stay, or result in three very unhappy Trick-or-Treaters. Only one team can be crowned the winner of Halloween Wars! Want Food Network programming on TV at your business? 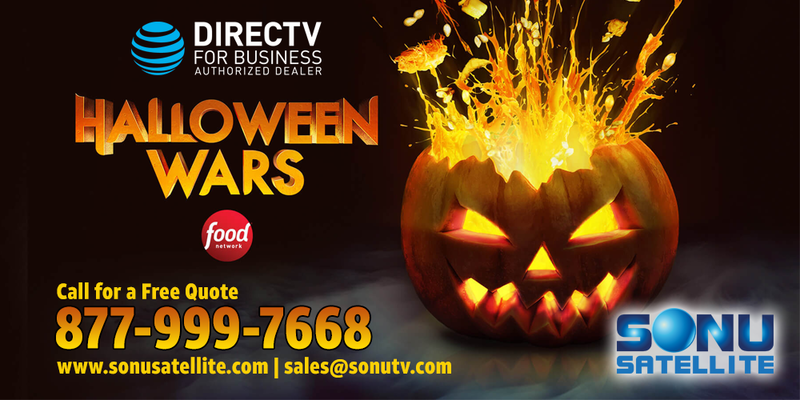 Call Sonu Satellite for a free quote and consultation on DIRECTV equipment and installation. We are currently running promotions which may qualify your property for a free DIRECTV for Business HD System! Dial (877) 999-7668 to speak with a live representative, or click the button below to request a Free Quote.